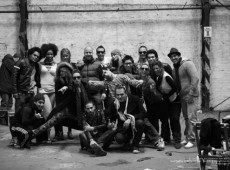 9th.com and Balmist Photography are working together in the upcoming music video clip for DJ Nico Hamuy & DJ Ortzy feat. Terry B! for the song Something About You to be release end of October. We are bring you some backstage shots — Photos by Florencia San Martin Bruck — Stay Tune!